At a Capsicum masterclass series sponsored by S. Pellegrino and Acqua Panna, Chef Ben Ungermann talks about how Australian Masterchef kick-started a culinary career across many countries and the importance of the global gastronomic community to a young chef’s career. Cape Town, South Africa, April 2019 – Placing high in an international cooking competition is becoming a recognised path for young chefs to gain experience, recognition, career advancement and exposure to the global gastronomic community. While young chefs in professional kitchens can learn a huge amount and make their name in prestigious competitions such as S.Pellegrino Young Chef, for Ben Ungermann, as a previously untrained home cook, it was the 2017 season of Australian Masterchef that brought him celebrity status and a whole new career. 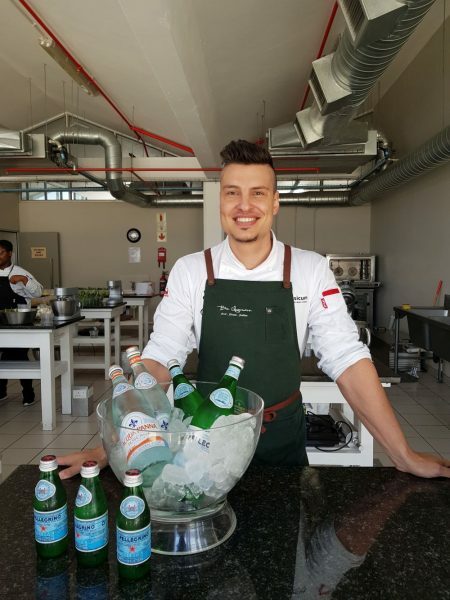 S.Pellegrino and Acqua Panna recently sponsored waters for a series of Masterclasses given by Ben at Capsicum Culinary Studio in Johannesburg, Port-Elizabeth, Pretoria, Durban and Cape Town. He told us about his experiences during the Masterchef competition and since then. “Shannon Bennett, my mentor on the show, described Masterchef as the single hardest but most rewarding apprenticeship in the world,” says Ben. “That’s what it felt like. The show took about seven months to film, and you’re cooking intensely every single day. You’re in an environment that although it’s very tough, you’re given every opportunity to flourish.” Coming second in the show made Ben a household name in around 130 countries. It also gave him the opportunity to connect with top chefs, including Heston Blumenthal, and he was later able to stage at Dinner by Heston under Ashley Palmer-Watts. “Heston made an appearance on the show, so I asked the question. Working in his restaurant was a real eye-opener – there was no yelling, screaming, no chatter, everyone knew what they had to do, an incredibly well-oiled machine.” He then worked on pastry with Clare Smyth, who recently earned . . .
COMPETITION IS HEATING UP - Checking out the goods at the Food Lovers Market were amateur home cooks, Samantha Rampersad (Clare Estate), Samson Maistry (Isipingo) & Samiya Gul (Berea) – who are just some of our contestants gearing up for the annual Springfield Retail Centre curry cook off competition which takes place on Saturday, April 6. There will be a total of 9 unprofessional home cooks vie for the top spot in each of the 3 respective categories - that of seafood, chicken and meat. When asked how they felt about the upcoming competition taking place at the weekend, all were excited to participate and they looked forward to the judges tasting “their winning meal”, as they joked amongst themselves. It looks like it is already “heating up” amongst these amateur home cooks and the judges will have a tough task ahead of them. Prizes up for grabs in each category include R5000 in cash for 1st place, as well as a 2 plate gas stove sponsored by Totai, our 2nd place winner will receive R2000 and R1000 will go to the team that comes in 3rd place. Entertaining the crowds from 10am and throughout the cooking process is one of Durban’s top comedic stand-up artist, Masood Boomgaard, who will be your host while our seasoned judges Ramola Makan from Elba/Totai Appliances and renowned cook book author; the Executive Chef from the Endless Horizons Group, Gordon Manuel; Frank Chemaly – Independent Media food critic and journalist and lastly, Guy Gorrie, the Executive Chef from The Royal Palm Hotel will be tasting their way to find out who will be the winners for the 2019 Springfield Retail Centre Curry Cook-Off competition. CLICK HERE to submit your press release to MyPR.co.za. . . .
To celebrate their 20th birthday, NetFlorist is inviting South Africans from all walks of life to share stories of people who have gone the extra mile to make the world a better and kinder place. The campaign starts April 1st 2019, and people are encouraged to participate with acts of goodwill during the first 20 days of April. South Africa’s sender of smiles wants to remind people to recognise the positive around them and surprise someone nice with something special. Caught up in the stress of everyday life, we often forget to thank acquaintances, strangers, friends, colleagues and sometimes even family for making our life a little easier, safer or just plain nicer. We have instances where we need people and they show up such as the car guard that escorted you to your car in the rain under his umbrella, the gentleman in the Polo that stopped to help you with your flat tyre, or the lady that let you go first in the Checkers queue because you were in a hurry. Thankers can share these stories using the hashtag #20daysofnice on Facebook, Twitter or Instagram, and together with NetFlorist, they will make the world a little more positive, one thank you gift at a time. 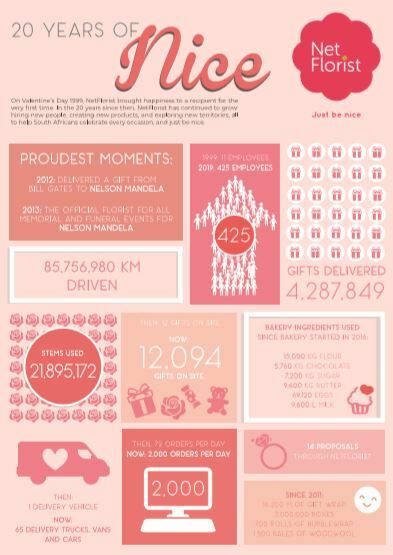 At least 20 of the nice people behind these stories will receive a gift from NetFlorist on behalf of the post to say a simple ‘thank you’ because random acts of kindness should not go unnoticed. Hopefully this campaign of positivity will remind South Africans that a little bit of gratitude and niceness go a long way to making our country, and the world, a better, happier place. CLICK HERE to submit your press release to MyPR.co.za. . . .
It’s easy to feel like you’re fighting a losing battle when it comes to cleaning your house. 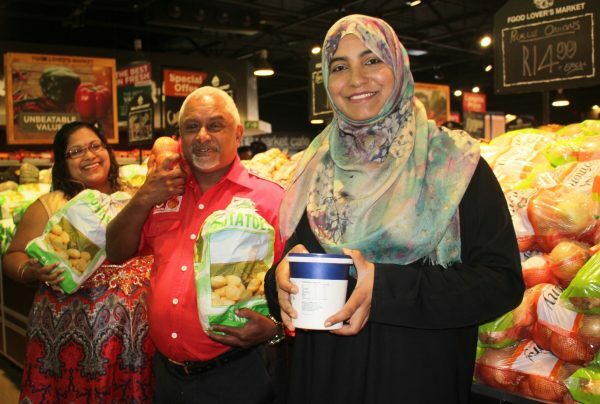 This only increases during the busy festive season with additional cooking, baking and entertaining! Luckily Chux® has a solution to make the big chores smaller. 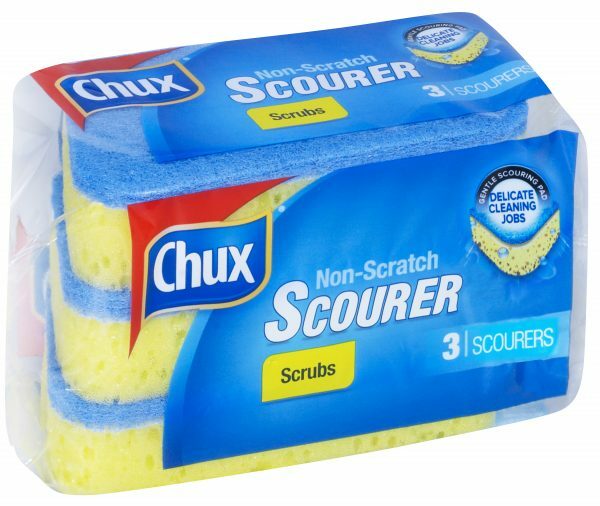 The Chux Non-Scratch Scourer Scrub is an effective cleaning aid. This nifty little scrubber has a long list of uses, there is no need to be gentle – just get in there and scrub! Clean your kitchen stove top with baking soda and a Chux Non-Scratch Scourer Scrub. Mix baking soda with water to form a paste. Rub the paste over your stove top, being sure to properly coat the areas with the most stains. Then wipe it away with your Chux Non-Scratch Scourer Scrub. The same will work for inside your oven and roasting pans after greasy turkey roasting! Cleaning the sink needs a lot of attention because of all sorts of soap deposits, food stains, rust, and water spots. To clean, add a squirt of dishwashing liquid and simply wipe away with a Chux Non-Scratch Scourer Scrub. Since these sponges do not scratch you can even use them in your lovely bathroom to get into the nitty gritty places like around plug holes and along edges where mildew and mould may gather, without scratching the bath or basin. Use a Chux Non-Scratch Scourer Scrub and some detergent to remove stubborn stains from the sole of your iron and other non-stick / Teflon surfaces. So, scrub with abandon with the peace of mind that no scratches will be left on your precious pots, pans, sanitary ware or anything else! Chux® helps makes the big chores smaller. Chux® offers an extensive range of quality cleaning accessories to help you tackle any cleaning challenge around your home. Regardless of your preferred cleaning routine, no matter the mess … there’s a Chux® for whatever life Chux® at you. #ChuxSouthAfrica #LikeItNeverHappened #forwhateverlifechuxatyou For more information on Chux® visit www.chux.co.za or www.facebook.com/ChuxSA/. Chux® can be found . . . 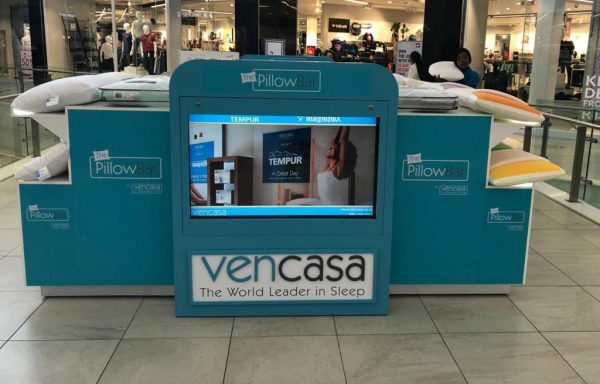 The World Leaders in Sleep and trailblazers in the industry opened the first Pillow Bar in South Africa in 2018 and have since opened 5 more – Sandton City Shopping Centre, Clearwater Shopping Centre, Cresta Shopping Centre, Ballito Junction and Eastgate Shopping Centre. Each Vencasa Pillow Bar featuring 29 pillows and have sleep professionals available to guide you in choosing the perfect pillow to ensure you have quality sleep, every night. We all know that sleep is essential to our wellbeing, however, do you know that your pillow can either enhance or reduce your sleep health? As the Dalai Lama astutely expressed, when asked what surprised him most about humanity, he replied: “Man. Because he sacrifices his health in order to make money. Then he sacrifices money to recuperate his health.” Let Vencasa help you improve your sleep well-being, within your parameters. Becoming pillow-savvy, is a great place to begin: Is it time to change your pillow? If your pillow is older than 3 years, then it is time to change them. The lifespan of a polyester pillow is 6-12 months; memory foam pillow is 12-18 months; feather or down pillow is 3-4 years; gel pillow is 3-4 years; Tempur pillow is 3-8 years. Do you have neck, shoulder, back or hip discomfort? Recurring headaches? Increased snoring? This could be attributed to your pillow. What must your pillow do for you? Support the weight of your head and neck without applying pressure. Support your shape ergonomically. Eliminate pressure points on your face and neck. Improve facial circulation. Does your pillow support your sleep style? Whether you sleep on your back, side or front, your pillow must cradle your neck and head so that they don’t tilt up or down and are in natural alignment with your spine. If you sleep on your back, consider the Tempur Symphony pillow for great support. If you’re a side sleeper, or like to sleep in the foetal position, the curved shape of the Tempur Sonata pillow supports your head best. If . . .
Cruxland Premium Dry Gin is leading the way for South African distillers amongst the worlds’ best at the World-Spirits Awards 2019. 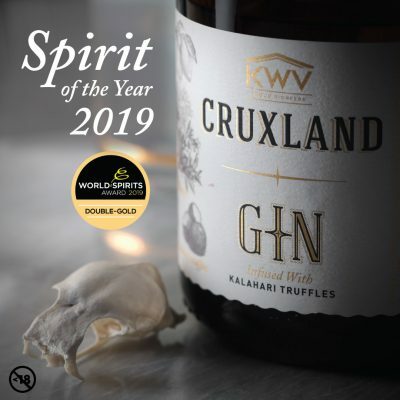 Not only did Cruxland Gin obtain a Double Gold Award, but has also been prestigiously acknowledged as the international Spirit of the Year 2019. In addition to this success, an astounding 7 Gold medals were also awarded to several brandies in the KWV portfolio. Therefore, it comes as no surprise that KWV has been classified as a World-Class Distillery for 2019. “This is only made possible through the hard work, passion and dedication of our whole team,” says KWV’s Blending Manager, Ilse du Toit. “To have been recognised and awarded these awards amongst some of the world’s best distilleries is a tremendous honour, not only for us but also for the country.” Since its inception in 2004, The World-Spirits Awards (WSA) has established itself as the global benchmark in the world of spirits. The credibility of the WSA lies in the expert knowledgeability of the jury, based on their meticulous training and the unique underlying system of assessment. The WSA is headed by former world-class skier, Wolfram Ortner who lives and breathes the Awards and knows the factors for success - performance, quality, transparency and fairness. Distilleries from 25 nations took part in the World Spirits Award 2019. From the 117 distilleries, 493 spirits were submitted for consideration with over 90 of them being gin! Cruxland’s infusion of eight exotic signature botanicals and rare Kalahari !N’abbas is a world-first. Also known as ‘Kalahari truffles’, this unique ingredient grows in the Kalahari region and is only harvested after the first rains by those who have the rare skill to find this gem of the desert. The judges commented on the Gin’s masterful variety spectrum calling it inciting and fresh with delicate juniper aromas and floral aspects. The juniper berry and hints of citrus, orange peel, lime and After Eight (mint chocolate) associations added . . .
Get Adequate Cover For Your Valuables This Easter Break The Easter break is fast approaching and many South Africans are making travel plans to enjoy family time, attend church conferences and get a break from their busy work schedules. While the holiday is high on the agenda for many consumers, adequate protection of valuables such as car, home contents and other personal belongings may not be. “While having insurance in place to protect valuables such as your car and home is necessary throughout the year, there are factors specific to holiday seasons that should be red-flagged on your pre-holiday check-list.” This is according to Etienne du Toit, Momentum Short-term Insurance Chief Commercial Officer, who highlights that getting in touch with your financial adviser and/or insurer to understand what you are covered for is essential so you can put measures in place to ensure you are not underinsured. “It’s important to review the details of your short-term insurance policy ahead of the holidays so you can get the necessary cover for all your valuables. It is also vital to inform your insurer if you leave your house unoccupied for a period of 60 days, as this might come with certain conditions,” he says. For those planning to travel abroad, du Toit suggests taking out insurance for personal belongings you carry with while travelling. “If you are going overseas, consider all-risk cover which protects your personal belonging or those of any member of your household. With Momentum, your valuables such as bicycles, clothing, jewellery, cameras, luggage and mobile phones are protected anywhere in the world, subject to certain limits.” For added peace-of-mind when travelling outside of South Africa, Momentum Explorer offers vehicle insurance cover for travellers in neighbouring countries such as South Africa, Angola, Botswana, Kenya, Lesotho, Malawi, Mozambique, Namibia, Swaziland, Tanzania, Uganda, Zambia and Zimbabwe. It also includes emergency . . . 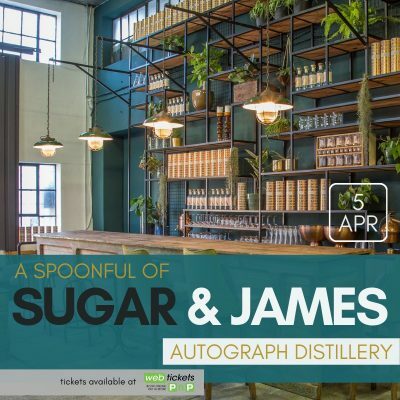 The Autograph distillery draws inspiration from the variety and quality of South African talent on offer across our diverse country. They want to recognise and celebrate the achievements of those individuals, who live up to their creed of "perfection distilled!" and as such will be launching the Perfection Distilled Campaign celebrating unique individuals from across South Africa in March. The first episode in the series features Luyanda Thobigunya and Baphelele Mbobo, two amazing off-road riders from Kayamandi in Stellenbosch . Check out the clip of them in action and their achievements on YouTube and Facebook at https://youtu.be/3whA_BTf-xk. You can also get involved! Do you know a uniquely talented individual or individuals who should be featured in the campaign? If so please send their story to info@autographgin.com and they may be the next person featured! Let's all get behind the campaign and showcase unique South African talent together. "Success is when your signature becomes an Autograph " Baphelele and Luyanda’s story Baphelele and Luyanda come from the bustling, energetic township of Kayamandi in Stellenbosch. Initially mentored by Songo Fipaza and taught how to ride BMX’s on the Kayamandi pumptrack. It was here that they honed their skills and why both can pull a wheelie for about a mile! In 2015, with the creation of BMT racing team they were introduced to Chris Norton by Songo himself. Baphelele was employed at BMT as a mechanic and Luyanda continued at school. They rode their first Absa Cape Epic together in 2017 coming second in the Exarro Section and even appearing on CNN’s inside Africa program. 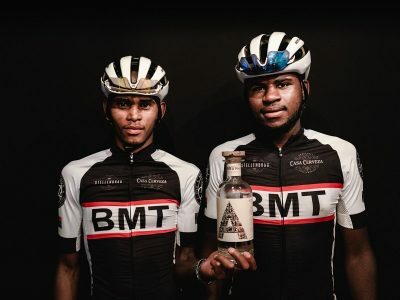 In 2018 they came second again in the Absa Cape Epic, but went on to win the Exarro category at FNB Wines2Whales and with that have qualified for the Swiss Epic 2019. They have also both just qualified as mountain bike guides and work at BMT’s trail centre at Boschendal farm estate. These two amazing characters have formed a . . . Reduced downtime and less subfloor preparation with the adhesive-free, loose lay safety flooring for heavy traffic areas The Polysafe QuickLay PUR Collection is the latest offering to be launched in South Africa by Polyflor SA, specialists in vinyl flooring and wall protection solutions. Adhesive-free, easy to install and slip resistant Polysafe QuickLay is a loose lay safety flooring designed for adhesive-free installation and is the perfect solution for busy commercial environments in need of a quick turnaround and where sustainable slip resistance is a priority. According to Tandy Coleman, CEO of Polyflor SA, Polysafe QuickLay can be used as a temporary or permanent floor covering and achieves the same performance and durability as other Polysafe flooring collections, but with the added benefit of being adhesive-free. “This is a very practical choice for contractors and specifiers alike and was developed by Polyflor in response to a growing need for loose lay flooring solutions that would save installation time, eliminate the need for adhesives and make future replacement easier, yet still offer sustainable slip resistance required from a safety floor,” she says. Vinyl floors that can be installed on newly laid concrete floors When installing QuickLay, subfloor preparation is considerably reduced as it can be laid directly over a variety of existing floor coverings, including new concrete substrates of up to 97% RH. The specially studded formulated Studded Emboss works as a barrier and allows moisture to escape from the subfloor. The QuickLay system simply works by applying the specially designed QuickLay tape provided around the perimeter of the room, underneath seams and doorways, securing the flooring in place. After thermal welding the installation is suitable for immediate traffic. 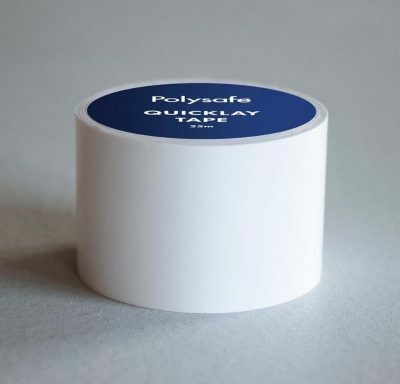 (As an added value offer, Polyflor is supplying 2 rolls (25 linear metres each) of QuickLay Tape free of charge with each full roll of QuickLay purchased, . . .